This Site is directed to be used by adults only. We assume that any minor, if at all, accessing our Site is under the supervision of their guardians. NYKAA or its associates do not knowingly collect information from minors. You will be responsible for maintaining confidentiality of your account, password, and restricting access to your computer, and you hereby accept responsibility for all activities that occur under your account and password. You acknowledge that the information you provide, in any manner whatsoever, are not confidential or proprietary and does not infringe any rights of a third party. If you know or have reasons to believe that the security of your account has been breached, you should contact us immediately at the 'Contact Information' provided below. If we have found a breach or suspected breach of the security of your account, we may require you to change your password, or suspend your account without any liability to NYKAA. NYKAA attempts to be as accurate as possible in the description of the product on the Site. However, NYKAA does not warrant that the product description, colour, information or other content of the Site is accurate, complete, reliable, current or error-free. The Site may contain typographical errors or inaccuracies and may not be complete or current. The product pictures are indicative and may not match the actual product. NYKAA reserves the right to correct, change or update information, errors, inaccuracies or omissions at any time (including after an order has been submitted) without prior notice. Please note that such errors, inaccuracies or omissions may also relate to pricing and availability. The products and services available on the Site, and the samples, if any, that NYKAA may provide you, are for your personal and/or professional use only. The products or services, or samples thereof, which you may receive from us, shall not be sold or resold for any/commercial reasons. In case any products or beauty services purchased / received / availed causes side effects or doesn’t suit you, please note that NYKAA is in no manner responsible for any manufactural side-effects or service provider and manufacturer or service provider of the product or service shall be solely responsible for such side effects and consumer complaints. You should carefully read the individual terms and conditions in relation to the products and beauty services and consult a specialist before the use of the same. Any recommendation made to you in the Site during the course of your use of the Site is purely for informational purposes and for your convenience and does not amount to endorsement of the product or services by NYKAA or any of its associates in any manner. 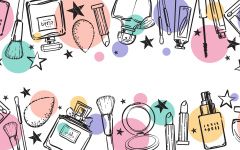 NYKAA strives to provide accurate product and pricing information, however errors may occur. NYKAA cannot confirm the price of the product until you make the order. Without limiting the generality of Clause 8 (Cancellations, Refunds and Returns) below, if a product / service is listed at an incorrect price or with incorrect information due to any technical error, NYKAA shall have the right, at its sole discretion, to refuse or cancel any orders placed for that product/ service, unless the product has already been delivered or the service has already been availed by you. In the event that an item is wrongly priced, NYKAA may, at its discretion, either contact you for instructions or cancel your order and notify you of such cancellation. Unless the product ordered by you has been delivered and the services are availed, your offer will not be deemed accepted and NYKAA will have the right to modify the price of the product/ service and contact you for further instructions using the e-mail address provided by you during the time of registration or placing of order, or cancel the order and notify you of such cancellation. In the event that NYKAA accepts your order the same shall be debited to your credit card account and duly notified to you by email that the payment has been processed. The payment may be processed prior to NYKAA’s dispatch of the product that you have ordered. If we have to cancel the order after we have processed the payment, the said amount will be reversed to your credit / debit card account. PRICES AND AVAILABILITY OF THE PRODUCTS AND SERVICES PROVIDED OR OFFERRED ON THE SITE ARE SUBJECT TO CHANGE WITHOUT PRIOR NOTICE AND AT THE SOLE DISCRETION OF NYKAA. NYKAA may revise and cease to make available any product/ services at anytime. In the event, NYKAA is unable to deliver the product to you on time or at all, you will be notified by an e-mail and your order will be automatically cancelled due to unavailability of the product or at your instructions due to failure to deliver the product on the expected time of delivery by our delivery partners. NYKAA shall not be liable to pay for any damages in such an event owing to cancellation of the order or delay in delivery. NYKAA may suspend the chat service at any time without notice. 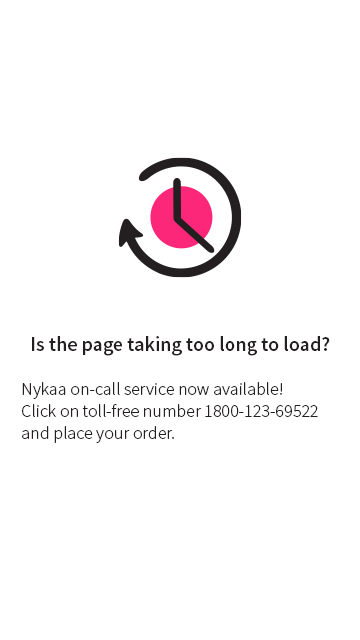 NYKAA or its executives are not responsible for any delay caused in attending to or replying to the queries via chat. Communication through chat may be stored by NYKAA for future reference, and the user of such service will not have the right to access such information at any future date. While 'chatting' you may not communicate any objectionable information i.e. unlawful, threatening, abusive, defamatory, obscene information. NYKAA shall in no way be held responsible for examining or evaluating User Content, nor does it assume any responsibility or liability for the User Content. NYKAA does not endorse or control the User Content transmitted or posted on the Site by you and therefore, accuracy, integrity or quality of User Content is not guaranteed by NYKAA. You understand that by using the Site, you may be exposed to User Content that is offensive, indecent or objectionable to you. Under no circumstances will NYKAA be liable in any way for any User Content, including without limitation, for any errors or omissions in any User Content, or for any loss or damage of any kind incurred by you as a result of the use of any User Content transmitted, uploaded, posted, e-mailed or otherwise made available via the Site. You hereby waive all rights to any claims against NYKAA for any alleged or actual infringements of any proprietary rights, rights of privacy and publicity, moral rights, and rights of attribution in connection with User Content. You hereby acknowledge that NYKAA has the right (but not the obligation) in its sole discretion to refuse to post or remove any User Content and further reserves the right to change, condense, or delete any User Content. Without limiting the generality of the foregoing or any other provision of these Terms and Conditions, NYKAA has the right to remove any User Content that violates these Terms and Conditions or is otherwise objectionable and further reserves the right to refuse service and/or terminate accounts without prior notice for any users who violate these Terms and Conditions or infringe the rights of others. If you wish to delete your User Content on our Site or in connection with our mobile applications, please contact us by email at support@nykaa.com and request you to include the following personal information in your deletion request: first name, last name, user name/screen name (if applicable), email address associated with our Site and/or mobile applications, your reason for deleting the posting, and date(s) of posting(s) you wish to delete (if you have it). We may not be able to process your deletion request if you are unable to provide such information to us. Please allow up to 30 business days to process your deletion request. The "Nykaa" name and logo and all related product and service names, design marks and slogans are the trademarks, logos or service marks (hereinafter referred to as "Marks") of NYKAA. All other Marks provided on the Site are the property of their respective companies. No trademark or service mark license is granted in connection with the materials contained on this Site. Access to this Site does not authorize anyone to use any Marks in any manner. Marks displayed on this Site, whether registered or unregistered, of NYKAA or others, are the intellectual property of their respective owners, and NYKAA shall not be held liable in any manner whatsoever for any unlawful, unauthorized use of the Marks. NYKAA and its suppliers and licensors expressly reserve all the intellectual property rights in all text, programs, products, processes, technology, content, software and other materials, which appear on this Site, including its looks and feel. 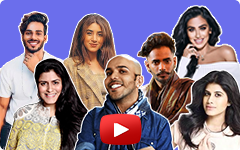 The compilation (meaning the collection, arrangement and assembly) of the content on the Site is the exclusive property of NYKAA and are protected by the Indian copyright laws and International treaties. Consequently, the materials on this Site shall not be copied, reproduced, duplicated, republished, downloaded, posted, transmitted, distributed or modified in whole or in part or in any other form whatsoever, except for your personal, non-commercial use only. No right, title or interest in any downloaded materials or software is transferred to you as a result of any such downloading or copying, reproducing, duplicating, republishing, posting, transmitting, distributing or modifying. All materials, including images, text, illustrations, designs, icons, photographs, programs, music clips, downloads, video clips and written and other materials that are part of this Site (collectively, the "Contents") are intended solely for personal, non-commercial use. You may download or copy the Contents and other downloadable materials displayed on the Site for your personal use only. We also grant you a limited, revocable, non-transferable, and non-exclusive license to create a hyperlink to the home page of the Site for personal, non-commercial use only. The Contents and software on this Site are to be used only as a shopping resource. Any other use, including the reproduction, modification, distribution, transmission, re-publication, display, or performance, of the Contents on this Site is strictly prohibited. Unless NYKAA explicitly provides to the contrary, all Contents are copyrighted, trademarked, trade dressed and/or other intellectual property owned, controlled or licensed by NYKAA, any of its affiliates or by third parties who have licensed their materials to NYKAA and are protected by Indian copyright laws and international treaties. NYKAA reserves the right, at any time, without notice, and at its sole discretion, to terminate your license to use the Site and to block and prevent your future access the Site. This Site is provided to you "AS IS". We make no representations regarding the use of or the result of the use/depiction of the Contents on the Site in terms of their correctness, accuracy, reliability, or otherwise. NYKAA shall not be liable for any loss suffered in any manner by the user as a result of depending directly or indirectly on the depiction of the Content on this Site. NYKAA shall have the right, at any time, to change or discontinue any aspect or feature of the Site, including, but not limited to, content, hours of availability and equipment needed for access or use. Further, the Site may discontinue disseminating any portion of information or category of information. NYKAA does not accept any responsibility and will not be liable for any loss or damage whatsoever arising out of or in connection with any ability/inability to access or to use the Site. NYKAA through the Site intends to provide its users with general information about beauty and healthcare topics and products. 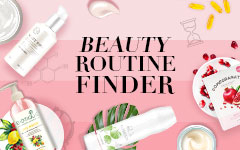 The Site encourages its users to interact with NYKAA and its employees by asking questions that enables the user to obtain information of a general nature pertaining to beauty and healthcare topics. 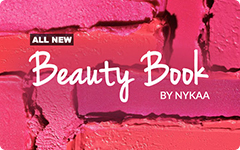 The postings on the Site or on social networking sites, including the Site’s Facebook page, or any information provided over chat or e-mails exchanged with NYKAA, its employees or representatives (collectively referred to as "Information") which are in furtherance of any communication made by the user with NYKAA, its employees or representatives is based on the background provided by the user. The Information is not intended to constitute personal medical suggestion or be used for any medical diagnosis or treatment. While NYKAA takes reasonable care to ensure that the Information is accurate, NYKAA makes no representation and takes no responsibility for the accuracy, completeness, appropriateness or usefulness of the Information. For any specific medical conditions or issues, users are advised to seek opinion from a certified medical practitioner. In the event any user relies on the Information provided by NYKAA or its representatives/ employees, he/she may do so at its own risk. Under no circumstances will NYKAA, its employees, representative or affiliates be liable for the Information or the consequences of relying on such Information. In keeping with NYKAA's objective of providing \its users with general information about beauty and healthcare topics and products, NYKAA engages experts having knowledge of in their respective fields ("Experts") to respond to queries posted by users. Any information provided by the Experts, either over the Site, through e-mails, chat rooms or on social networking sites, including the Site's facebook page (collectively referred to as "Expert's Opinion") is based on the Expert’s personal opinion. The Expert's Opinion is not intended to constitute personal medical suggestion or be used for any medical diagnosis or treatment. NYKAA makes no representation and takes no responsibility for the accuracy, completeness, appropriateness or usefulness of the Expert's Opinion. In case any user relies on such Expert's Opinion, he/she may do so at its own risk. Under no circumstances will the NYKAA, Company, its employees, representative or affiliates be liable for such Expert's Opinion or for the consequences of relying on such Expert's Opinion. References on the Site to any names, marks, products or services of third parties or hypertext links to third party sites or information are provided solely as a convenience to you. This does not in any way constitute or imply NYKAA endorsement, sponsorship or recommendation of the third party, information, product or service or any association and relationship between NYKAA and those third parties. NYKAA is not responsible for the content of any third party sites and does not make any representations regarding the content or accuracy of material on such sites. If you decide to link to any such third party websites, you do so entirely at your own risk. NYKAA do not assume any responsibility for examining or evaluating the offerings of the off-websites pages or any other websites linked from the Site. We shall not be responsible for the actions, content, products, or services of such pages and websites, including, without limitation, their privacy policies and terms and conditions. You should carefully review the terms and conditions and privacy policies of all off-website pages and other websites that you visit via the Site. Without any prejudice to particulars listed in Clause 13 above, NYKAA shall have the right to seek and obtain any injunctive, provisional or interim relief from any court of competent jurisdiction to protect its trade-mark or other intellectual property rights or confidential information or to preserve the status quo pending arbitration. NYKAA is entitled to investigate occurrences that may involve such violations and may involve, and co-operate with, law enforcement authorities in prosecuting users who are involved in such violations. You agree not to use any device, software or routine to interfere or attempt to interfere with the proper working of this Site or any activity being conducted on this Site. You agree, further, not to use or attempt to use any engine, software, tool, agent or other device or mechanism (including without limitation browsers, spiders, robots, avatars or intelligent agents) to navigate or search this Site other than the search engine and search agents available from NYKAA on this Site and other than generally available third party web browsers (e.g., Netscape Navigator, Microsoft Explorer). NYKAA's failure to act with respect to a breach by you or others does not waive its right to act with respect to the breach or subsequent and similar breaches.